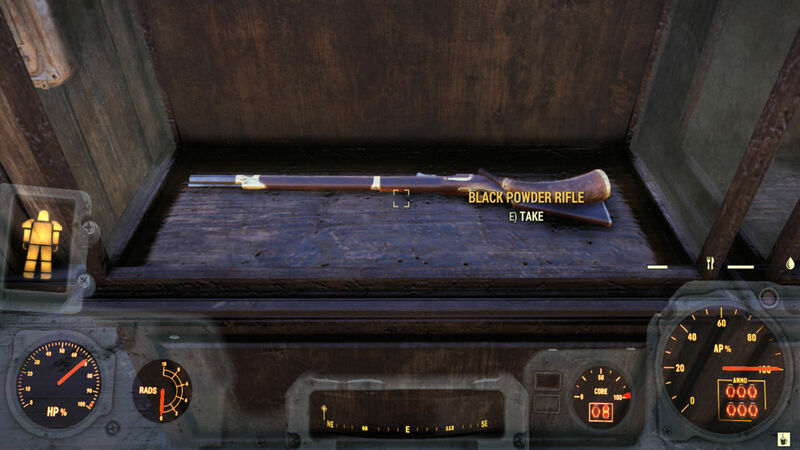 Looking for some of the rarest Fallout 76 weapons around? 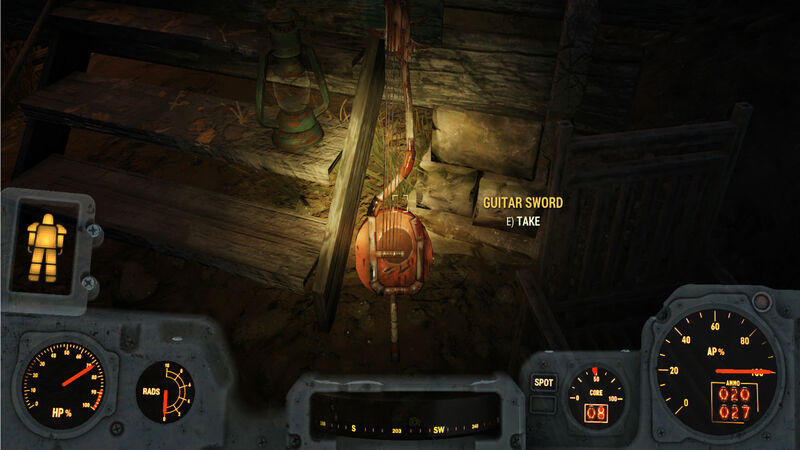 Fallout 76 follows the same rule as Fallout 4 when it comes to acquiring legendary weapons and gear: you’re guaranteed one whenever you kill a legendary enemy, indicated by the star next to their name. The problem is that legendary equipment is often worse than what you’re already using unless you get very lucky with the mod it comes with. Plus, legendary weapons aren’t much more exciting than their standard variants with little more than a neat stat and a star next to the weapon’s name to signal its rarity. We’ve scoured the map and found a number of static spawn points for rare weapons in the game, most of which are must-have guns when you find enough ammo for them. Since they appear in the same place with a degree of consistency, you’re able to farm them by returning to the same location every thirty minutes, give or take, when the loot respawns. For some weapons this will be necessary to get enough ammo, so bear that in mind when you’re searching for these four rare Fallout 76 weapons. The 50. Cal Machine Gun is your bog-standard LMG that you’d expect find in other first-person shooters. It’s not great at killing enemies from far away, but once you get up close and you have enough ammo to spare, it’s a monstrous member of the big guns weapons category. It deals 20 damage per shot but with a fire rate of 91, that equates to over 180 damage per second. There’s one location where the 50.Cal Machine Gun will spawn almost every time. Simply, head up toward Grafton, then go north-east to the Clarksburg Shooting Club. Follow the main road south-east and you’ll come across a parked truck with some sandbags on the back and the 50. Cal Machine Gun sat there, waiting for you to take it. If you haven’t had the privilege of using any Black Powder weapons yet, then prepare to smile with glee at the amount of damage these antiques put out. They’re some of the most powerful weapons in the game, each dealing between 100 and 150 damage per shot – only The Dragon, the unique Black Powder rifle with four barrels, does more. Stack it with a stealth modifier and the right perk cards and you can drop most enemies with a single shot. The caveat? Each gun takes a long time to reload and ammo is scarce. They use .50 Balls as ammunition, which you will rarely find in the world. You’ll need to invest resources into crafting ammo for each of them, but with the damage each weapon does, it’s more than worth it. 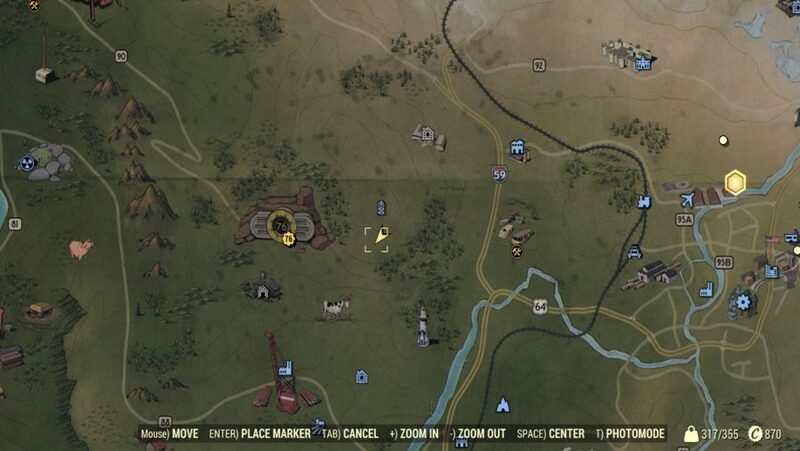 There are two separate locations we’ve found which spawn all three types of Black Powder weapon. The first is just west of where the 50. Cal Machine Gun is located, at the Philippi Battlefield Cemetery. Head inside the only building and you’ll find numerous display cases with Civil War-era clothes and uniforms, along with a number of different Black Powder weapons. The Blunderbuss is the rarest of the three, so if you don’t find all three types here, check this next location or return to the same spot after an hour or so and check again. For the second possible spawn, you can head down into the Forest area towards Helvetia. If you haven’t found Helvetia yet, it’s slightly east of Sutton or down Route 89 from Morgantown. When you get there, clear out the horde of low-level Scorched then look for a fairly unremarkable brown house. Inside, you’ll find more display cases, just like at the Philippi Battlefield Cemetery. If you’re keen to find a very unique and powerful melee weapon, the Guitar Sword is an excellent weapon to track down. 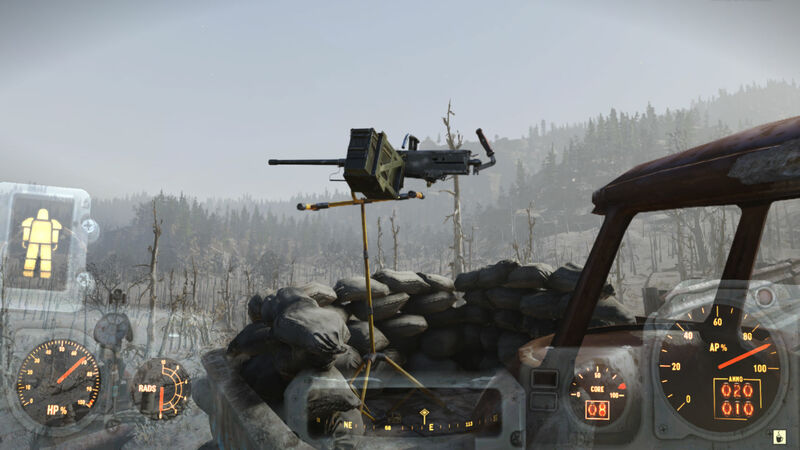 It’s the sixth most powerful melee weapon in the game and you can go and grab it the second you leave Vault 76 since it’s static spawn location is nearby. It deals 45 damage per hit, which is more than most axes and blades, though unfortunately, you can’t use it to play a sweet tune. 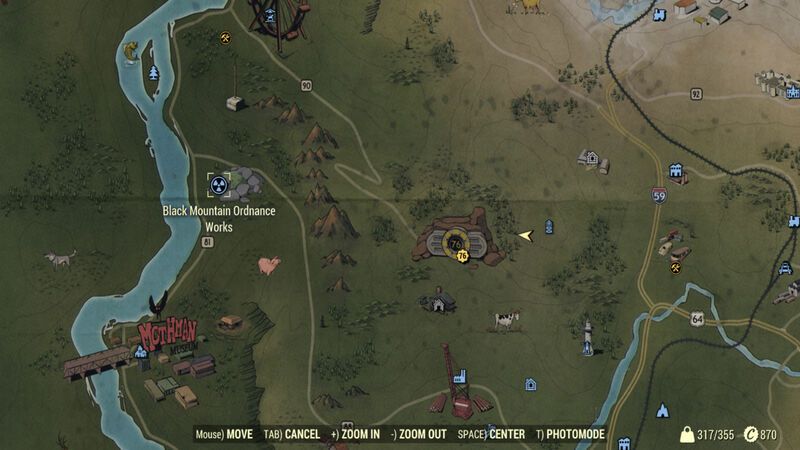 To find the Guitar Sword, leave Vault 76 then walk directly east until you find the North Kanawha Lookout. 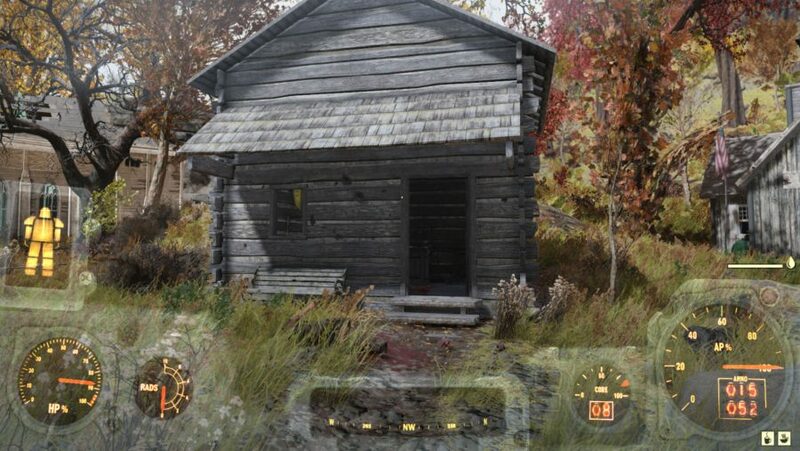 Clear the low level Super Mutants then look just to the south for a cabin. Leant against a blue door is the Guitar Sword. 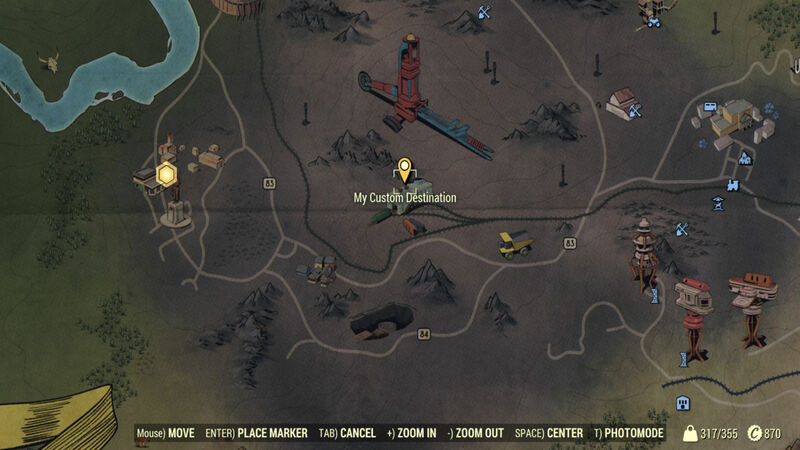 It’s worth exploring this area further, as on the other side of the cabin is a small hideout with some horrifying graffiti that makes for an… interesting read. 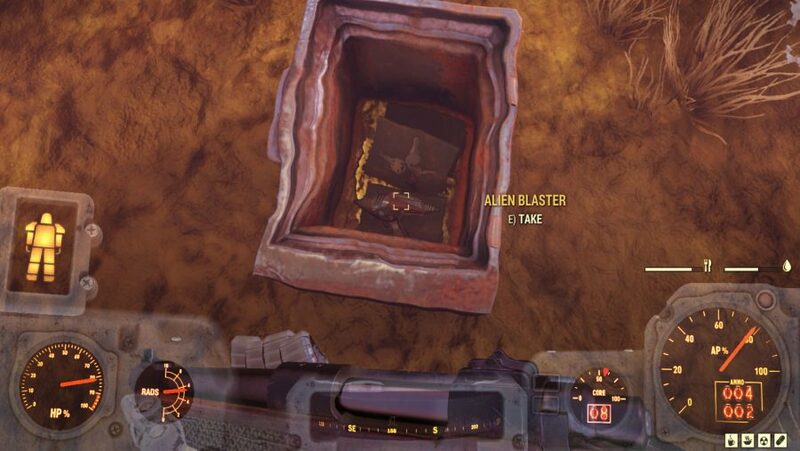 The final rare weapon we’ve found is the Alien Blaster, which has featured in all of the modern Fallout games. This gun isn’t particularly powerful, but it is extremely rare, which makes it the perfect weapon to show off to your friends (and enemies). 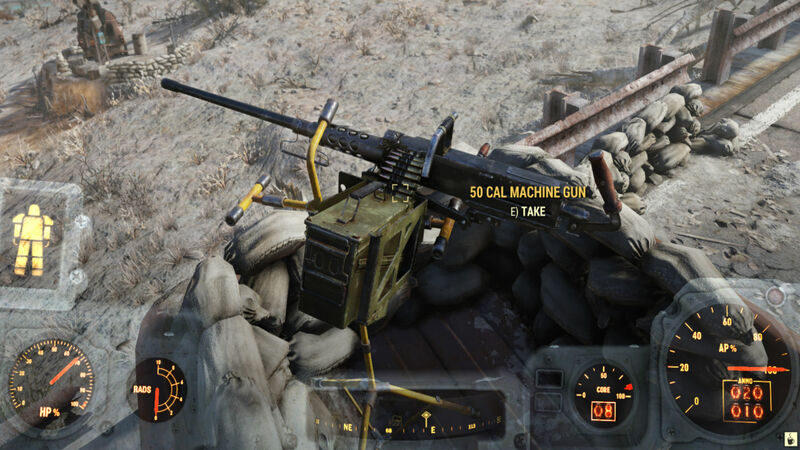 It deals 15 damage per shot but it uses Alien Blaster Rounds, which as you’d expect, are almost impossible to come by when scavenging for supplies in West Virginia. The Alien Blaster is more of a trophy weapon than one you’d use to slay foes, but it’s great to have all the same. To get the Alien Blaster, you’ll want to go north, back up to the Toxic Valley. Between the 50. Cal Machine Gun location and the Philippi Battlefield Cemetery is a house that has been completely obliterated, with a lake of toxic water in the middle. 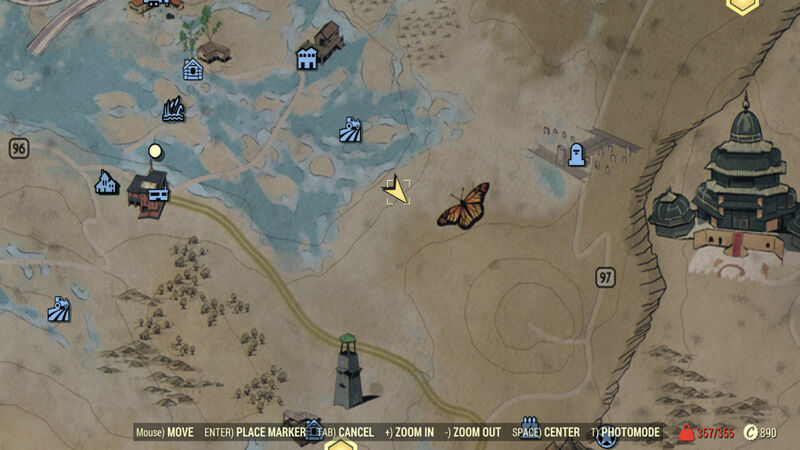 If you can’t find it, look south-west of Graninger Farm and directly west of the butterfly icon on the map. Make sure you equip a Hazmat Suit or pop some Rad-X as you’ll need to dive into the toxic water and search for a broken safe. Look inside and you’ll find the Alien Blaster, along with a Rusted Key which isn’t important for the weapon, but unlocks a door at Freddy Fear’s House of Scares in the Mire. The problem with the Alien Blaster is that it doesn’t come with any ammo whatsoever, so you’re stuck with a cool looking gun, but no ammo to fire. To get ammo for it, you’re going to need to head to Mount Blair Train Yard, way down in the southern portion of the map in Ash Heap. It’s north-west of Welch, indicated by a small factory with two train tracks going inside on the map. Search the entire area and you’ll find TNT Dome Key 2 inside a locker. TNT Dome 2 is located just west of Vault 76, by a place called Black Mountain Ordnance Works. Search for Dome 02. When you find it, head inside and you’ll find Alien Blaster ammo on the table, along with a plan to modify the Alien Blaster nearby. This changes the type of ammo it needs, from Alien Blaster Rounds to Fusion Cells. The caveat with doing this is that using Fusion Cells takes down its damage stat from 15 to 4. It’s a serious nerf so while it would mean you find ammo much easier, it also makes the gun quite awful. Nifty to have, but unless you get your hands on two Alien Blasters, changing the ammo type for your only one isn’t recommended. 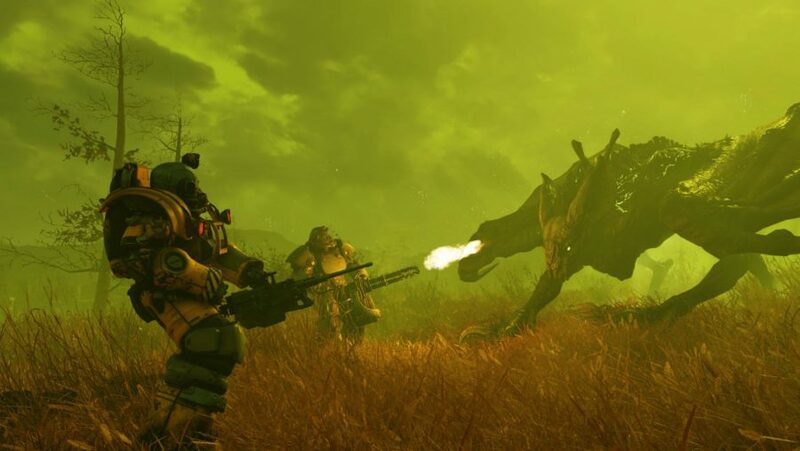 For some general help tackling the wastes, seek out our Fallout 76 tips, or to get more specific we have a Fallout 76 leveling guide, advice on Fallout 76 builds, a list of all Fallout 76 mutations, and a walkthrough for joining some of the weird and wonderful Fallout 76 factions. With all of our help, you should have no problem surviving the mutated horrors of post-apocalyptic Appalachia.